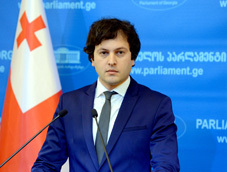 Georgia’s Parliament Speaker, Irakli Kobakhidze says that Georgia wants to peacefully resolve conflict with the breakaway region of Abkhazia, occupied by the Russian Federation. He noted that the government aims at restoring trust between the Abkhazians and Georgians, but Russia’s artificial barriers complicate the situation. Kobakhidze’s comment came after the former “Prime Minister” of occupied Abkhazia, Sergey Shamba admitted the breakaway region is in crisis. Georgian Parliament Speaker says that Shamba voiced the problems which Georgia has been talking about for years, adding the government of Georgia will spare no effort to restore the trust between war-torn territories and peacefully resolve the conflict. “We listened to very interesting statements from Shamba…We all know what the level of so-called independence of Abkhazia is. What Shamba said, we have been claiming it for decades,” Kobakhidze commented. Sergey Shamba stated two days ago that the so-called President of Abkhazia Raul Khajimba and the de facto government are unable to advance breakaway Abkhazia and overcome the crisis. “We are in a deep crisis, and if we do not get out of it, we will have to kneel and ask Georgia or Russia to allow us to join them,” he said, adding de facto Abkhazia needs changes and a strong leader who will change the situation.